There are many ways – here is one, at the beautiful Matara Centre, Kingscote Park, near Nailsworth, Gloucestershire. 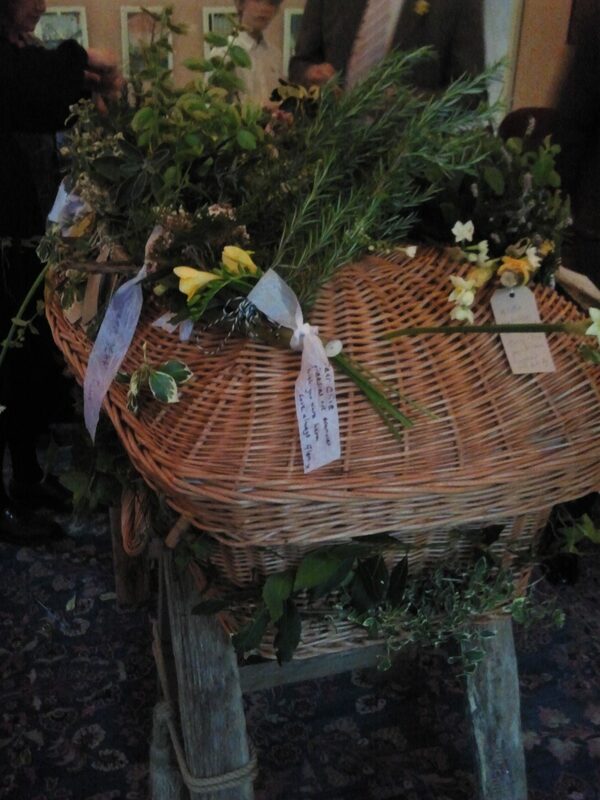 The coffin was brought into a side room, where friends and family could sit with their beloved father/friend/colleague, and write a message on a ribbon to tie on to his woven willow coffin. Stroud Funeral Director James Showers had cut and bent two willow osiers and tied them on top so flowers and ribbons could decorate and fly with him all the way home.